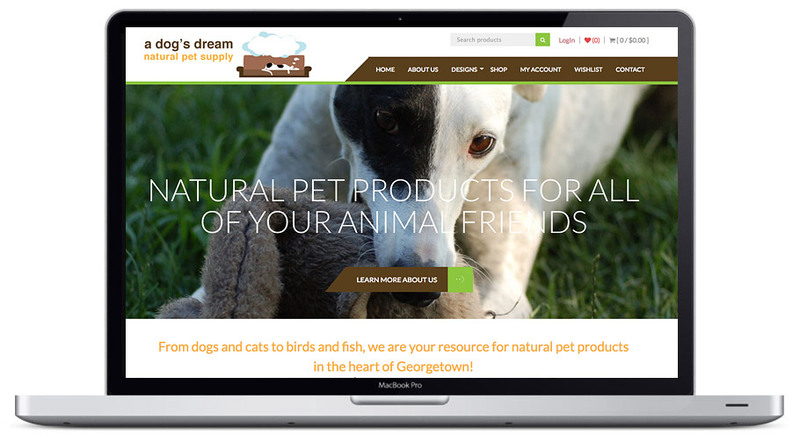 A Dog’s Dream Natural Pet Supply is located in Seattle, WA in the heart of Georgetown. We are a full service natural pet supply that specializes in premium pet foods. 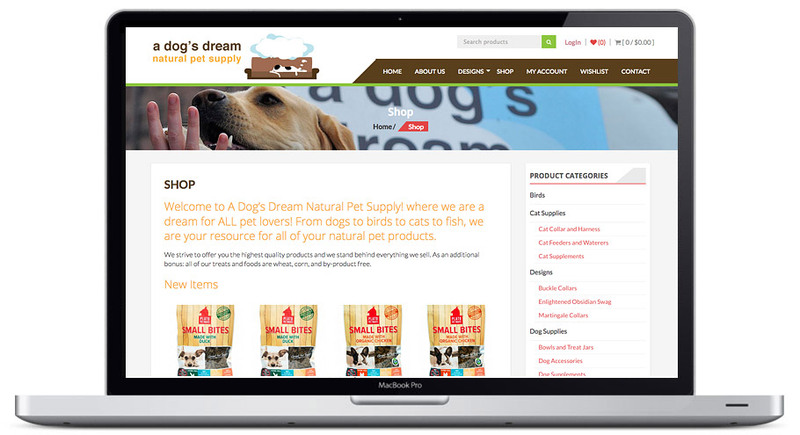 A Dog’s Dream Natural Pet Supply approached Hang Wire with the goal of creating an online shop for their natural pet supplies. Hang Wire worked with Lori to develop a clean and modern web design in the WordPress platform. 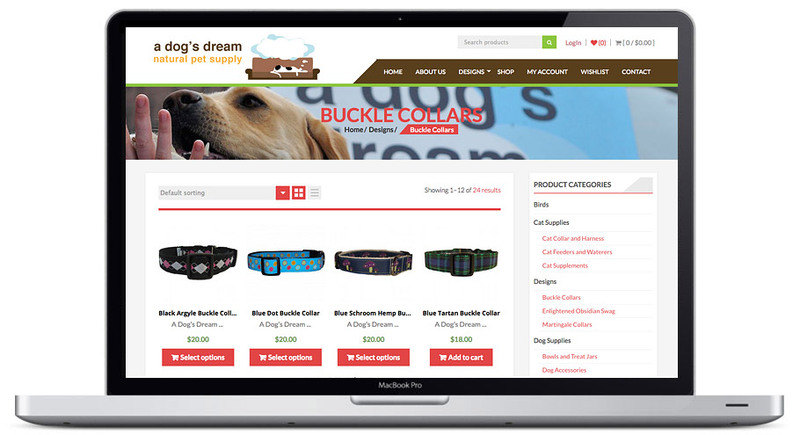 Woocommerce was incorporated in order to provide a backend for the online shop e-commerce component. Secure checkout is provided with a full shopping cart experience.